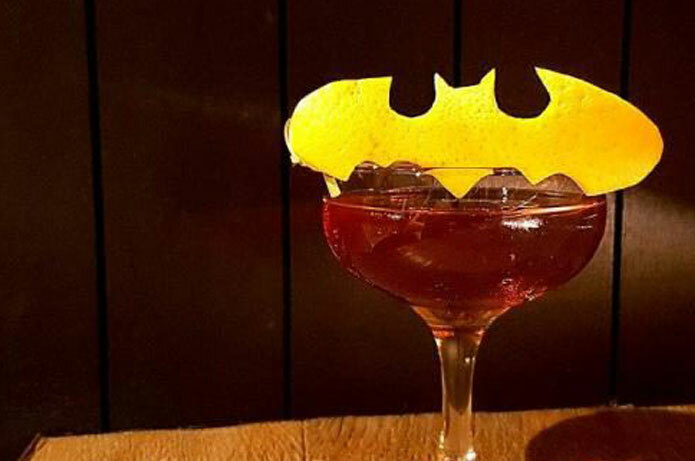 Bartender Sean Robertson at the newly refurbished Harry’s Bar in Edinburgh’s West End created a Halloween cocktail inspired by our resident bats at the Raasay Distillery. The Bat’s Blood cocktail features Raasay While We Wait whisky and is available exclusively at Harry’s Bar on their special Halloween £5 cocktail menu on Saturday 29th October 2016. But to make this terrifying tipple yourself, just add Creme Cacao, Chambord, a dash of plumb bitters and garnish with a flamed orange peel – in the shape of a bat if you’re feeling artistic like Sean was!